Small things make a big difference in the home decor! So, no matter what fundamental furnishings we have included in our abode, the next task is to accompany them with a small unit. This small unit can be anything, from benches to chest of drawers. These units will not only support the existing furniture unit but also add the charm and glam to the decor. In this article, we are going to discuss the benches! Small, functional and utterly gorgeous from every angle. Benches are the fantastic unit which satisfies that ‘extra decor need' with the excellent aesthetic appeal and ample uses. The flexibility of this unit is as such that it can be assembled anywhere in the abode like in the entryway, in the corner of the living room, in the bedroom, in the dining room and many more other zones of the abode. These benches online are available in a variety of types, styles, patterns and sizes. Each bench also differs from each other in terms of storage capabilities and other dimensional aspects. But, selecting one among many types will be a tough task! You have to view the purpose and also match it with the interior of the home. 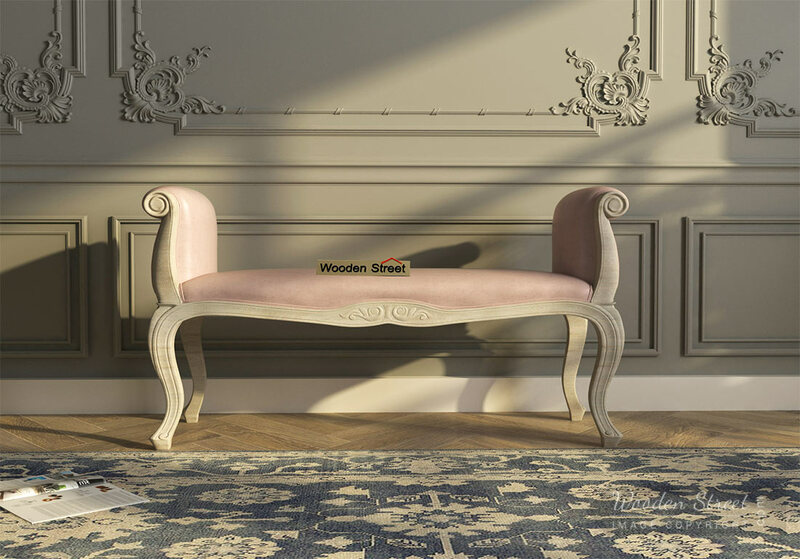 To help you, here I have penned down the various types of beautiful benches that could add style into your room and make it welcoming for your friends and family. You might be thinking where to assemble a wooden bench in the tight, jam-packed bedroom? But, there is a space at the foot of the bed! Yes, adding a bedroom bench which is basically a bench with no back-rest but has a curved armrest. It is entirely upholstered and may or may not have tight tufting. Use it as an extra seat or a place to stack up all your clothes. If you go for a bedroom bench with storage, then you can store the bedding accessories inside it. Meant to be kept in the entryway, these benches come in various styles and patterns. The entryway bench should be inviting, comfortable and gorgeous, as it would have a lasting effect. Plus, if you go for the bench that has storage cabinet below, then you would keep the entryway away from the clutter of shoes! These entryway benches aren't just stylish but also functional in a beautiful way. Do you have a dull and boring wall? Then these benches will light up the charm instantly! Go for the pastel color accent benches if you have white walls. This will give a retro look to the room. Search for the bare corner of the room and place an accent bench to light it up with charm. As the name gives a glimpse, these benches are covered with cushion fabric. These are stylish as well as comfortable. You can go for upholstered benches with backrest to attain utmost comfort. Place them in the living room as a supporter of the sofa set. So, that you can make your guests sit comfortably! The upholstery can be of leather too. The leather benches look versatile and work well with every type of decor. Mainly, leather benches can be used in the offices and hotel lobby. The amazing thing about the upholstered bench is that it is available in a wide variety of colors and prints. Select the one which blends beautifully with the interior decor. Storage benches are the best way to increase the storage space in the abode. You can use the bench in the kid's room to keep the clothing of your kids, and in the living room to keep CD's and other media required things. 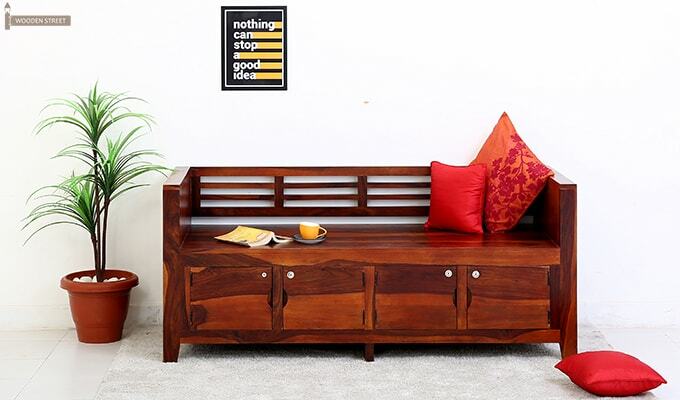 Get a beautiful appeal in the abode by incorporating the amazing wooden benches. These will provide a decent place to sit as well as give a gorgeous makeover to your room. The points as mentioned above show the different types of benches and their uses around the home. Select the one that fits well with the requirements and also blends seamlessly with the decor.